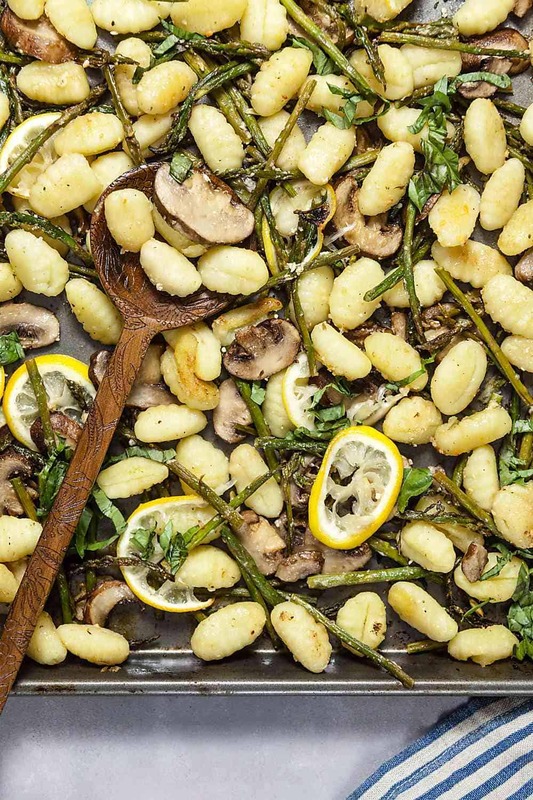 Lemon-Parmesan Gnocchi with Mushrooms (Sheet Pan Dinner) | Healthy. Delicious. 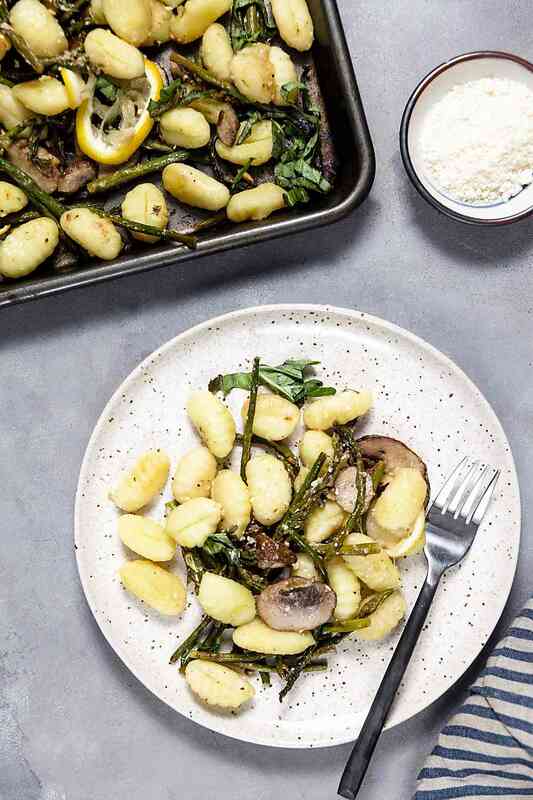 Lemon-parmesan gnocchi with mushrooms is an easy sheet pan dinner that’s perfect for busy weeknights when you want a nourishing meal but don’t feel like spending a lot of time or energy in the kitchen. 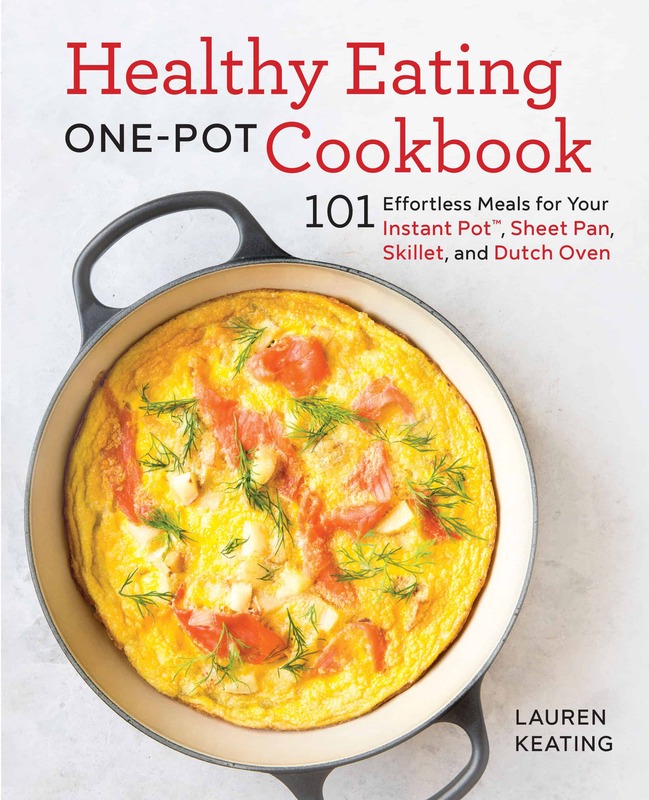 When it comes to zen in the kitchen, I love recipes that take a little bit of prep work – there’s something so relaxing about slicing mushrooms or chopping an onion – but not a lot of time standing over the stove. 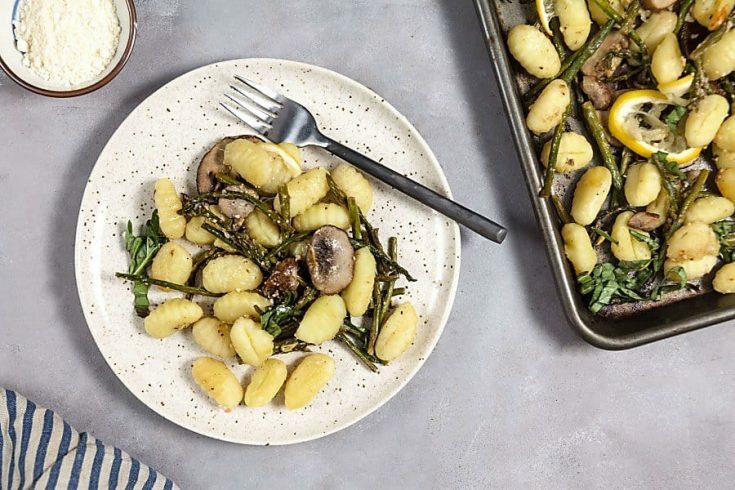 Sheet pan dinners like this lemon-parmesan gnocchi with mushrooms and asparagus or one pan orange salmon with sweet potatoes are great for those nights where you just…can’t. Cooking gnocchi on a sheet pan is one of my favorite kitchen tricks. Just toss the dry gnocchi in some oil and liquid – in this recipe I used lemon juice – and it magically plumps and softens in the oven. 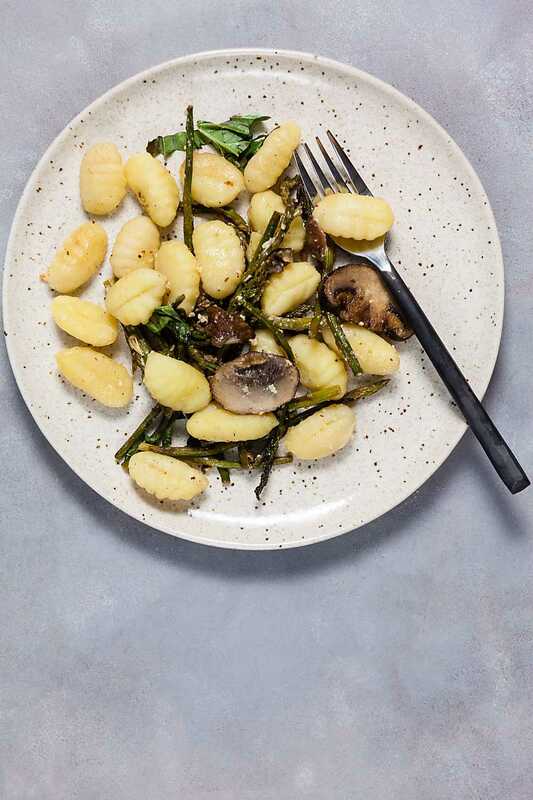 Not only do you not need to wait for a giant pot of water to boil, but the edges of the gnocchi get slightly crispy and all sorts of delicious. 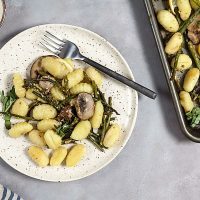 I love gnocchi any way it’s cooked, but I definitely prefer this baked version to boiled. If you don’t like asparagus or are looking for an alternative, you can swap it our for green beans. Stirring a cup of frozen peas in at the end is also a nice option. This lemon-parmesan gnocchi recipe serves four as a main course, or six to eight as a side dish. 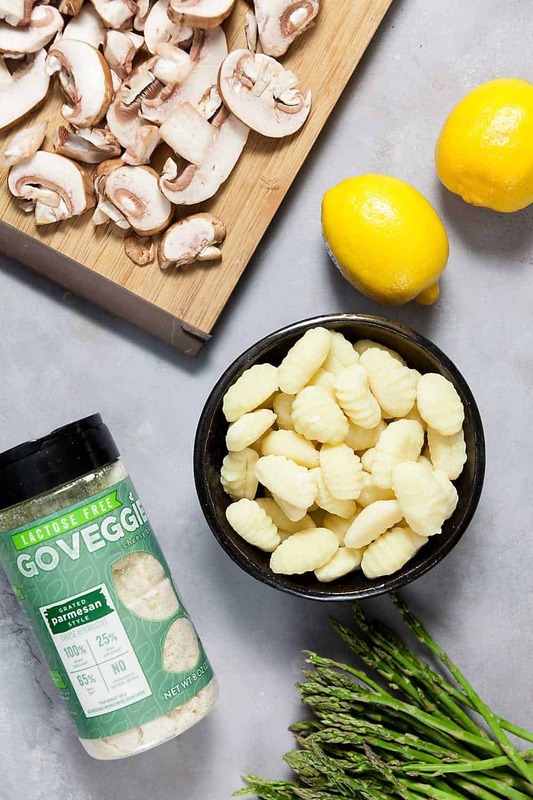 Lemon-parmesan gnocchi with mushrooms is an easy sheet pan dinner that's perfect for busy weeknights when you want a nourishing meal but don't feel like spending a lot of time or energy in the kitchen. In a large mixing bowl, combine the gnocchi, mushrooms, asparagus, lemon juice, olive oil, parmesan, and garlic. Season with salt and pepper. Stir well to combine. Pour the gnocchi mixture onto a baking sheet and spread into a single layer. Scatter the lemon slices over top. Bake for 30 minutes, or until the gnocchi is plump and tender and the asparagus is slightly charred. Remove the gnocchi from the oven and discard the lemon slices. If desired, Stir in the fresh basil. Serve with extra parmesan. Very bland. Poor flavor even after I added extra olive oil, garlic, Parmesan and lemon. Bottom of pan should be sprayed to prevent sticking. Everything cooked too fast as well. I’m sorry you found it bland. Did you make any ingredient substitutions? Mixing everything up in a bowl should coat the ingredients with enough oil so that they don’t stick to the pan, although spraying it can’t hurt. 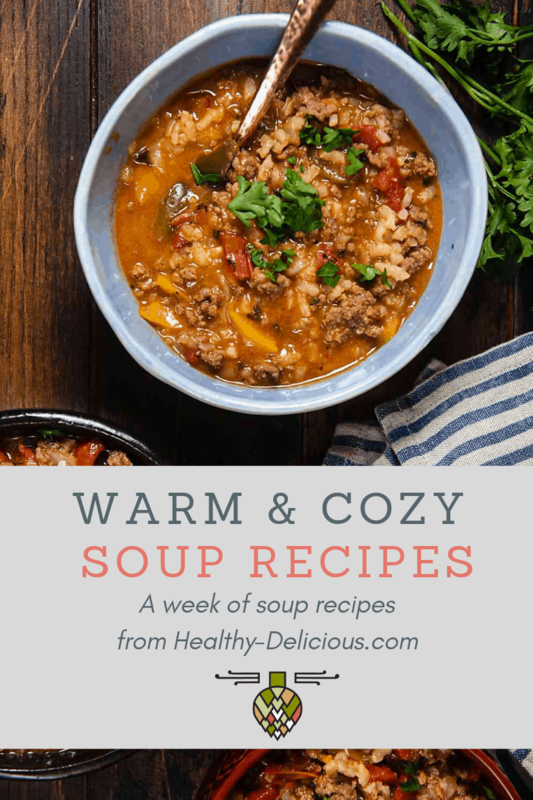 Loved that recipe: it was quick and very easy to make and tasted great! I doubled it, so we could have the leftovers for the next day and made it on two sheets instead on one. I made this according to the instructions. The flavors were good but the texture was dry and unappealing. I ended up opening a jar of Alfredo sauce, which helped a lot, but I really didn’t want the extra fat and calories. This is SO good. Seriously one of the best things I’ve ever tasted. Will be making this often! This was really good! I doubled it for a family of 6 and I wish I quadrupled it. Two of us are vegetarian and the rest ate it as a side. Definitely making this again. This was absolutely delicious!! A keeper for sure!